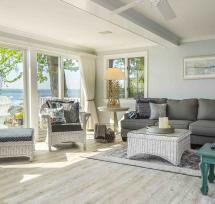 Finger Lakes Premier Properties has the largest selection of Finger Lakes vacation rentals. All of the properties are waterfront homes and range from cozy cottages to luxury vacation rentals. We also specialize in waterfront Finger Lakes real estate. Our vacation rental properties are located on Canandaigua, Conesus, Honeoye, Keuka, Seneca, and Cayuga lakes. Rent the home of your choice by the week, by the month, or just for a few days, depending on the time of year. Whichever you choose, you'll be able to enjoy the natural beauty of the Finger Lakes, take in our world-class wine region with over 100 wineries to visit, enjoy the lake and outdoor activities, quaint shopping, community festivals, and tons of small-town charm. We are happy to be able to help you plan your ideal vacation in the Finger Lakes! Select from a variety of world-class Finger Lakes Vacation Rentals now.